This major mass builder, fat burner and performance enhancement supplement is already proving to be the strongest natural anabolic product in existence. Just when you thought natural muscle growth had reached its limits, Black Lion Research takes us into a new era with the groundbreaking discovery of 3 all-new natural anabolics! Introducing Vector, the new wave of natural bulking anabolics - Where you get all 3 of these new ingredients in 1 bottle! While powerful on their own these 3 new ingredients help to regulate gene expression related muscle hypertrophy to promote lean muscle growth, increases in strength, endurance, protein synthesis, and muscle recovery. They say good things come in 3, well now so does muscle growth. Get ready for bulking mania with Vector! Get your bottle today! Eriobotrya Japonica: The Eriobotrya Japonica (EJ) plant itself contains a host of interesting natural anabolic ingredients that are beneficial to those looking to build muscle, burn fat, and increase athletic performance. Some of the most well known chemical constituents are Epicatechin, Ursolic Acid, Tormenic Acid, and Ellagic Acid. Studies indicate EJ Increases the expression of myogenic genes MyoD, Myogenin and MyHC. This increased expression corresponds with an increase in the activity of Creatine Kinase a myogenic differentiation marker. Finally EJ activates the AKT/mTOR pathway and subsequently promotes muscle protein synthesis and gains in lean muscle mass. In studies EJ was shown to prevent muscle atrophy and increase muscle hypertrophy making it also ideal to use while in a caloric deficit in order preserve muscle mass. 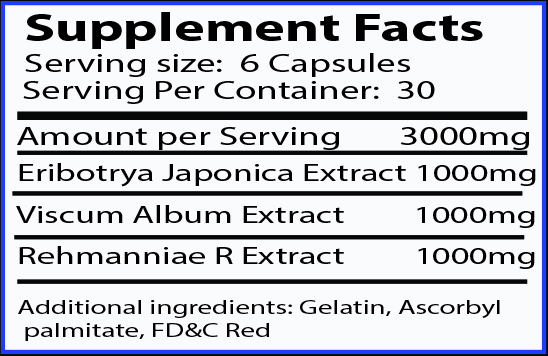 The key to the success of this ingredient is the extraction process and the dosage which is why you will notice there is 1000 milligrams with 100:1 extract. Korean Mistletoe: Korean Mistletoe (KME) has been shown to have anti-tumor, immunostimulatory, anti-diabetic, and anti-obesity properties. Of interest to us as athletes KME has been reported to increase strength, muscle mass and improve overall exercise capacity. In studies it has been shown to regulate gene expression related to muscle atrophy (muscle breakdown) and muscle hypertrophy (muscle growth) and improve endurance by stimulating mitochondrial activity. Rehmannaie Radix: The key active component here is the iridoid glycosides, Catalpol. Catalpol can be referred to as natural gene doping as it has effects on erythropoietin (EPO), vascular endothelial growth factor (VEGF), insulin-like growth factor type 1 (IGF-1), myostatin antagonists, and endorphin. Erythropoietin (EPO) increases red blood cells which in turn carries more oxygen to muscles. Vascular endothelial growth factor (VEGF) is a major regulator of blood vessel formation during development and in the adult organism. VEGF promotes the growth of myogenic fibers and protects the myogenic cells from apoptosis in vitro and prompt a therapeutic use for VEGF gene transfer in a variety of muscular disorders. VEGF also increases angiogenesis and blood flow to muscles. Catalpol helps to increase IGF-1 levels by preventing the suppression in IGF-1 levels associated with rises in blood sugar. WARNING: Keep out of reach from children. Consult your doctor prior to use if you have or are at risk for high blood pressure, heart, kidney, thyroid, prostate or psychiatric disease, anxiety, depression, seizure disorders, strokes, or any other medical condition. Do not exceed suggested dosage. Discontinue use immediately if you experience rapid heartbeat, dizziness, vomiting or other similar symptoms. Keep out of reach of children. *These statements have not been evaluated by the Food and Drug Administration. This product is not intended to diagnose, treat, cure, or prevent any disease. Always consult your doctor before beginning any diet, supplement, or exercise regimen. Approx 2.5 weeks into use and starting to see the effects of this product. I am stacking with Viron , noticing increase in cardio endurance, sweating much more in my workouts , strength increases have come in the last week most noticeable on all upper bod exercises particularly db chest press, curls & rows. I'm happy to try any quality product that has an androgenic effect, and Vector seems to be working. Workouts are more intensive, and I last longer with the heavy sets (which seem easier too.) Keep bringing me these state of the art supps! !